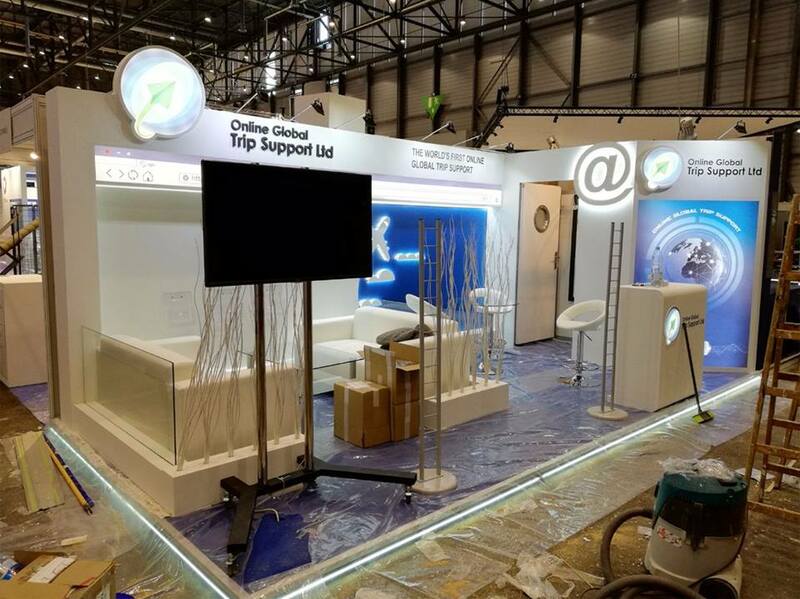 Global Trip Support's booth at EBACE 2018. A new online venture is to be launched at MEBAA this year, the UAE-based Online Global Trip Support (Booth 600), which hopes to simplify even further the daily tasks facing business-jet operators around the world. “OGTS will officially be launched and [become] operational [on] 10 December 2018. We [expect] a very positive [response] in 2019 and beyond. We [anticipate] huge demand and registration for the service by flight operators, dispatchers and aviation professionals. We have created something new and unique for the business aviation industry,” Munir Khalifeh, CEO, Online Global Trip Support, told AIN. Flight operators who are short of time have always been under pressure when it comes to service arrangements at their destinations, which can vary widely. “OGTS is the solution. It is an online global trip support system through which flight operators and dispatchers can create a service request, identifying flights, fleet information and scheduled trips all on their own user dashboard, putting all the information required together in one place, saving time, money, and hassle,” he said. Khalifeh is optimistic about business aviation in the UAE, citing figures published by the Global Investment in Aviation Summit (GIAS), that will place in Dubai in January 2019, which claim the UAE is to invest $23.2 billion in airport development and expansion that will see the country’s airports have a combined capacity to handle in excess of 300 million passengers per year in future. Khalifeh has also run MixJet Flight Support, a leading IATA-accredited and NBAA-associated international flight support company, catering to over 200 clients, since 2009. With a head office at Sharjah (UAE) and offices in Sweden, Russia and Egypt, the company offers end-to-end services that are instrumental in delivering flight and operational experiences for companies across the globe. MixJet can handle fuel, permits, catering and charters, and also offers VIP transportation, visa assistance, airport transfers and hotel bookings. Khalifeh is also launching "Traviators" as a travel solutions company at MEBAA. It is a corporate system for the regular online bookings that pilots and crew often need to make. The software helps to organise bookings for crew parties and other groups, based on a "policy," as he called it, that stipulates whether, for example, a group will want four- or five-star hotel accommodation. This helps to specify service levels or avoid unnecessarily large billing. The site is seen as a competitor to booking.com or tripadvisor.com, but will be company-based, rather than serving individual travelers. “Traviators services will cover hotel bookings, airport transfers, chauffeur services, car rental, air travel ticketing, and travel insurance. Traviators will use cutting-edge technology and its services will be a … surprise to the world aviation and business travel industries,” he said. Khalifeh is founding chairman of the International Aviation Services Organization (IASO), which acts as an umbrella for the industry. IASO is a non-governmental body which has become parent association for aviation services companies worldwide. “After… 25 years [of] experience in the aviation field, I [decided to establish] IASO, [which] we registered in Sweden with its HQ in Geneva, Switzerland,” he said. Khalifeh told AIN that as a non-profit organization, IASO was founded in 2015 and had offices in Dubai, Geneva and Montreal. Most of its board members, who include Jetex Flight Support’s Adel Mardini, UAS’s Mohammed Husary, and the World Food Program’s Samir Sajet, hail from the Middle East. The sub-organizations of IASO are IHAO (International Handling Agents Organization), and IFSO (International Fuel Suppliers Organization). OGTS will act as platinum sponsor at the MEBAA Show as it launches itself in the region and beyond.